There were two out, two on and two runs already in when Justin Verlander threw a 98 mph fastball to Andrew Benintendi near the outside corner Saturday for strike three. Benintendi slammed his helmet and bat down and jawed with plate umpire James Hoye before Red Sox coaches ran in to get between them. Cora continued to yell from the dugout and was tossed by Hoye. 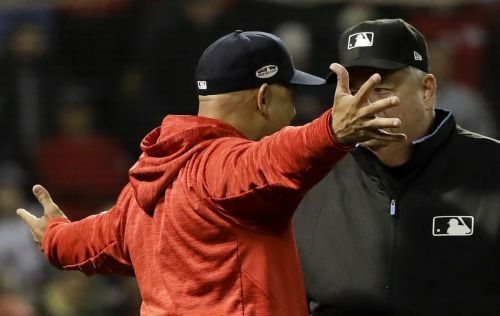 The first-year Red Sox manager, who had been ejected once before this season, handed the lineup card to Ron Roenicke and walked down the tunnel.